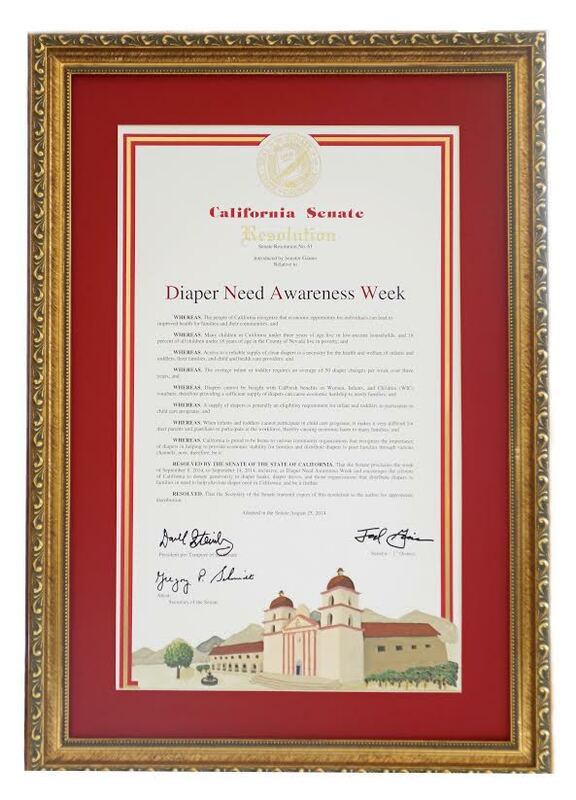 Senator Ted Gaines (R-Roseville) was successful in getting Senate Resolution (SR) 61 passed proclaiming the week of September 8-14 as Diaper Need Awareness Week. The Proclamation states that many children in California under three years of age live in low-income households, and a supply of diapers is generally an eligibility requirement for infants and toddlers to participate in childcare programs while their parents are at work. The average infant or toddler requires about 50 diaper changes per week and often times purchasing this vital necessity can be an economic hardship to needy families. This resolution encourages the citizens of California to donate to diaper banks, diaper drives, and those organizations that distribute diapers to families in need to help ensure access to diapers in California. On another front, Lorena, Gonzalez (D) San Diego has penned the first-ever bill to address diaper need, which would give families on welfare with children under two $80 a month to cover diapers. That would mean mothers who can’t afford diapers — 30 percent of women across incomes and demographics say they’ve faced this problem at some point — won’t have to resort to stretching dirty diapers, risking infections and rashes, or go hat in hand to friends and family. For more information, visit the National Diaper Bank Network website at http://nationaldiaperbanknetwork.org or www.nevadacountydiaperproject.org. Donations to the Nevada County Diaper Project can be mailed to P. O. Box 912, Penn Valley, CA 95946 .